The newly founded Porsche Digital GmbH is going on the offensive. The wholly owned subsidiary of Stuttgart-based Porsche AG has decided to invest a seven-digit sum in parking solution specialist Evopark. Porsche will hold a minority stake in the Cologne-based start-up, which is seeking to revolutionize parking in urban areas. Free parking cards will replace paper tickets; it will raise barriers automatically at many parking garages and underground parking facilities. Parking fees are paid conveniently at the end of each month. The Evopark app shows where parking is available at parking garages and offers to guide drivers to free parking spaces. This investment is the first by Porsche Digital GmbH since its foundation in May 2016 – a step on the path to Porsche becoming the leading supplier of digital solutions in the premium segment of the automotive industry. “Greater convenience, faster, better – it is exactly this kind of approach to digital transformation which fascinates us and goes with Porsche,” says Porsche CEO, Oliver Blume. The Digital GmbH is the Porsche Competence Center where digital customer experiences, products, business fields and processes are being identified and developed. The Porsche subsidiary cooperates closely with all our operational functions in testing and implementing new value creation models and innovative product offerings. Worldwide scouting is also one of the activities of the Digital GmbH: Porsche not only believes in its own potential for innovation, but also in its partnerships. The Digital GmbH sees itself as the interface between Porsche and innovators worldwide, especially in the areas of connectivity, smart mobility and autonomous vehicles. Further investments in innovative and high-growth companies as well as in selected venture capital funds are planned. Evopark was founded in Cologne in 2014. Currently, the parking service is already available in 16 German cities and at 37 car parks and underground parking facilities. National and international car park operators such as B+B Parkhaus, Goldbeck and Q-Park are working closely with the start-up. 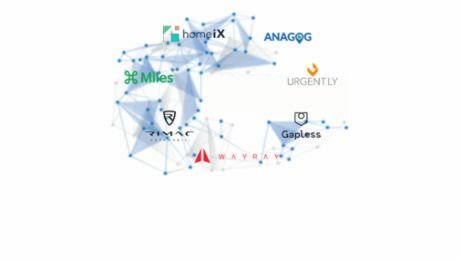 Cooperation partners also include the major manufacturers of parking management systems, Scheidt & Bachmann, as well as Skidata, the AXA insurance company and renowned retail chains offering parking validation to shoppers. “We are working feverishly on including attractive value-added services so parking becomes a positive experience for our customers. The cooperation with Evopark is our first systematic step in this direction,” says Peter Jost, Director Sales Coordination & Strategy at Porsche. In the context of a joint pilot project, already today Porsche and Audi drivers can park at no charge for the first hour at parking garages operated by Evopark partners for a period of three months. 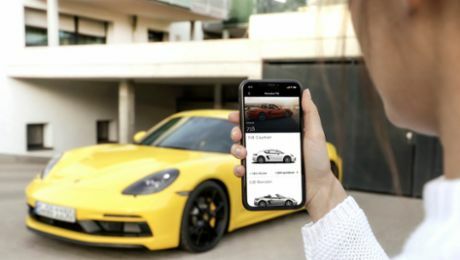 “Porsche is giving us real impetus in establishing a nationwide digital parking service,” says Evopark executive Tobias Weiper. “The search for a parking spot is the reason for almost 30% of inner-city driving. At the same time, however, many spots in parking garages stand empty.” Evopark is making a positive contribution to inner-city mobility. The goal, according to Weiper, is “an open platform for off-street parking in Germany and Europe. The digital customer experience is the primary focus for Porsche Digital GmbH. “At the same time we are cooperating with external partners and talents who share this vision,” says Thilo Koslowski, managing director of Porsche Digital. Porsche always welcomes exciting concepts and new partnerships. The evopark GmbH was founded in 2014 with the ambition to define a new parking experience. Porsche Digital GmbH and well-known business angels have invested in the startup. Already since late 2014, the parking system is successfully in operation. Being first in the German market, evopark offers a fully integrated solution suitable for all common parking management systems. The upcoming company counts more than 90.000 processed parking transactions with over 20.000 customers. Currently, the service is available in 21 German cities and 59 parking garages. Thanks to its innovative concept evopark has already gained numerous awards, including the DWNRW Award 2015, handed over by Garrelt Duin, Minister of Economics in North-Rhine Westphalia. Investing in artificial intelligence: Porsche Digital GmbH is expanding its digital innovation portfolio.